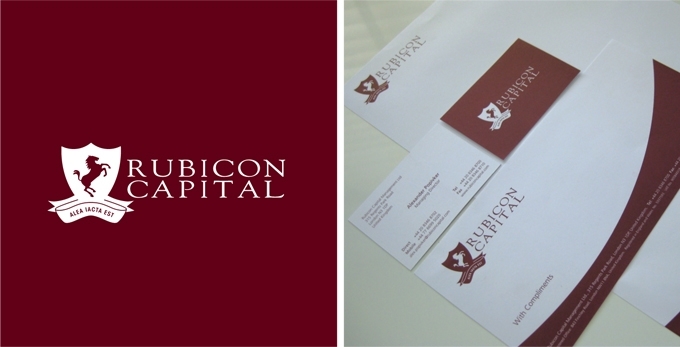 Rubicon Capital is a London based research, advisory and professional services firm which helps international institutional and private clients to design and implement wealth enhancing legal, financial and tax solutions. The chosen identity is visually impactful with a strong sense of history. The name and the horse in the logo refers to the story of Julius Caesar’s crossing of the Rubicon river in 49 BC in northern Italy. ‘Alea iacta est’ literally translates as ‘The die has been cast’ and also refers to this historical moment.